The bar started out a little bit empty on Sunday but it was Halloween and everyone was partying the night before, that being said, by the end of the 1st quarter the crowd was bumping like usual. Five field goals was very frustrating for everyone, but signing the fight song after that touchdown was worth all the anguish.Â We took another game on the road and hopefully we will do it again next week and hopefully I will be at the game. I grew up right outside of DC and I spent a lot of time in Baltimore as a misguided teen. I love the city but hate the Ravens. I can’t wait. If you check out the pictures below you will notice a few things.Â 1) It was Curtis the Third & Long bar manager’s birthday and Michelle got him a cake. That made for a fun and delicous two minute warning. 2) I have noticed that the Last Rights Mac 10 T-shirt is becoming really popular. People ask me about mine, so check their website if you want one.Â 3) We got new shirts in and the logo is bigger. Michelle should have them next week as I will be out of town but we should have every size now. Anyway, check the slide show below and double click if you want to download a picture. Go Dolphins! This week we have to play the Bengals and the TOcho show.Â The game is away so all the pundits are picking us based on some stupid coincidence.Â The reason we are 0-3 at home and 3-0 on the road is simply because we played better teams at home than on the road. I have no idea why people are making a big deal out of that irrelevant statistic. Going into Cinci is not going to be an easy game but I really do think the Dolphins are the better team and that we can win this game. The Bengals have a tough defense, but we played pretty well against the Steelers and Jets defenses… we just need to get in the damn endzone. As always we will be watching the game as a group at Third & Long (35th and 3rd) and win or lose we will have a good time.Â We always have drink specials for Dolphins fans and now we have our own Dolfans NYC IPA that is only $4 a pint. We should be doing some sort of raffle this week and we finally got new large and XL t-shirts in.Â We got the logo printed bigger on them this time too. They look really good. 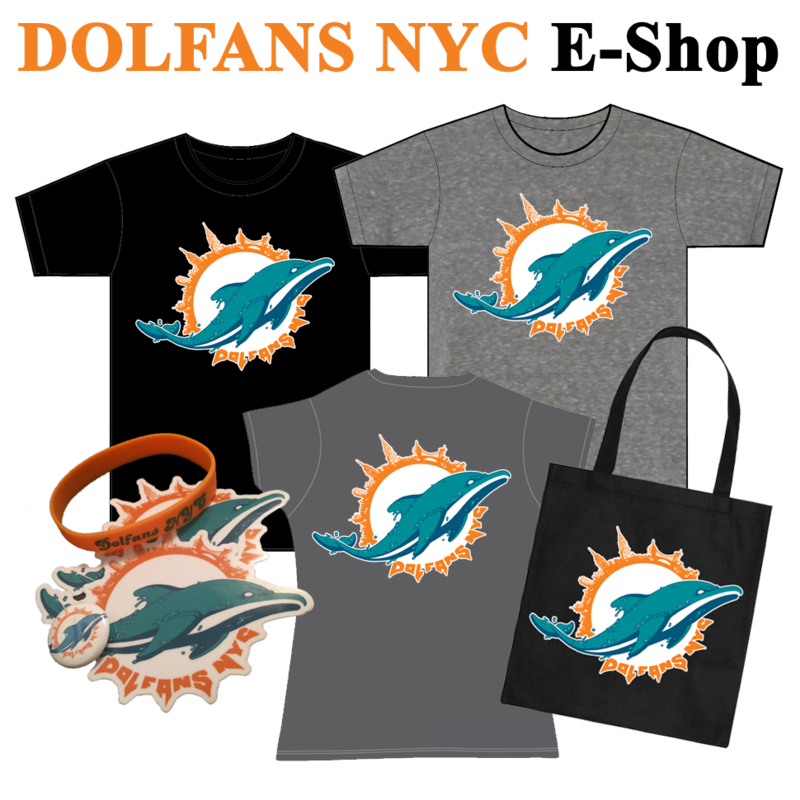 And lastly if you have questions about group tickets to the Jets game you should email DolfansNYC@gmail.com for details. Thanks guys, see you Sunday. Go Dolphins! Oh.. and pictures below.Â Double click if you want to save an image.